We enjoyed Rob Schneider and the Black Dog Quintessence in the air conditioned interiors and the plush settings of the banquet hall of the five star hotel. Just like any other attendee who was attending the Black dog comedy evening with the stand-up comedy maestro Rob Schneider, we also found ourselves in a very cheerful atmosphere, filled with fun and joviality. “I knew that you were actually far beyond than how you appear to everyone”, and I found it as a compliment. I was happy that Diane could understand my true nature as a normal human being. 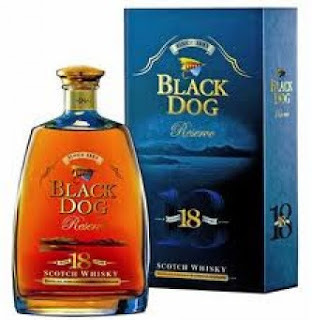 “I want to gift this pretty Black Dog Scotch Bottle to the best clad couple among you all”; that was actually a part of his conclusion speech. “…the celebrated writer and his partner the beautiful Diane! !” Rob announced. Everyone looked at us with admiration, and a cheerful clap followed the declaration. Rob Schneider invited both of us to stage. He appreciated us for winning the award and gaining the admiration of the organizers and reputed audience of the function. We spent some more time among the admirers, and when we returned to our room, we both were really happy about the new happenings.